Easily add a cup holder to your stroller for drinks on the go. Removes quickly and easily for folding stroller. The universal attachment works with most strollers. 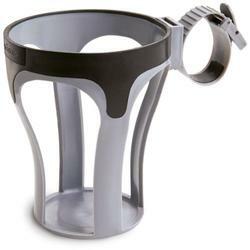 Tapered design fits most cup shapes to keep drinks for you or your child handy and secure. .